Citing a loss of market, Credit Suisse has lowered its rating for shares of cereal giant Kellogg from outperform to neutral. The bank insists that Kellogg’s has lost the youth market severely crimping profits. 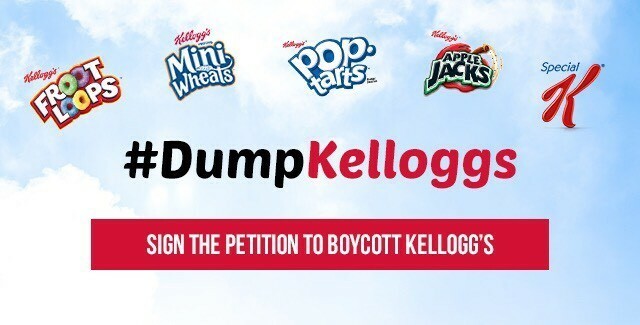 Once a staple of every American child’s breakfast, cereal is apparently now on the outs with consumers, especially millennials, and the waning interest in cereal products is impacting Kellogg heavily. Kellogg’s sales fell 2.4 percent in the third quarter. “We are downgrading Kellogg stock, … the company’s revenue growth rate continued to under-punch its peers due to ongoing pressure in the breakfast cereal category,” CNBC reported on Monday. Analyst Robert Moskow added that thus far Kellogg’s efforts to re-tool advertising and products to appeal to today’s youth have not worked. “The company took several positive steps to re-engage Millennial consumers with more granolas, mueslis, and ‘fashion-forward’ ingredients. But from what we can tell, these efforts have not fully stabilized the business,” Moskow told his investing clients. When Credit Suisse downgraded Kellogg’s rating on December 7 it also reduced the stock’s price target from $84 per share to $77 per share. 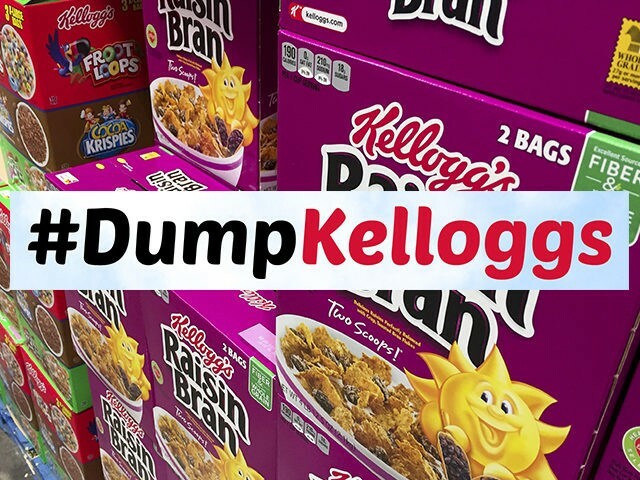 The downgrade comes as over 400,000 people joined the #DumpKelloggs movement after the far-left company canceled advertising on Breitbart.com saying its “values” do not align with Breitbart and its 45 million monthly readers. This is far from the first downgrading Kellogg’s has received. Just last year S&P downgraded the cereal company after it made a series of acquisitions. And in 2014 Moody’s downgraded Kellogg, though at that time it was thought to be stabilizing.